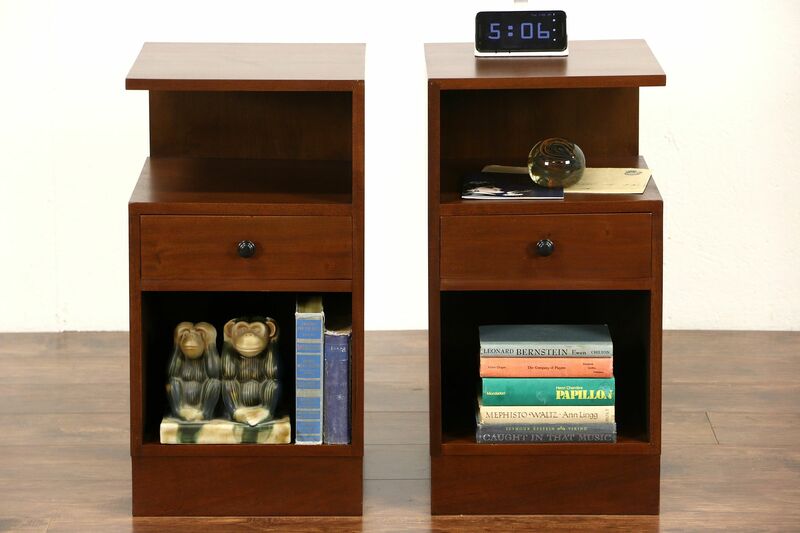 A pair of Midcentury Modern nightstands were crafted of mahogany in England about 1960. The restored finish is in excellent condition, drawers have solid mahogany sides with hand cut dovetail joints. This vintage furniture is a true right and left pair. Size is 14 1/2" square and 28" tall.